predict the future development of food allergy or asthma. like egg, milk and peanut by the age of 12 months. Enterobacteriaceae and Bacteroidaceae. The researchers found infants that developed food sensitization had different levels of these bacteria compared with those that did not. life predicted the development of food sensitization at 1 year - as measured by a skin reaction test. as biomarkers of future disease. University of Alberta and senior author of the study. Department of Pediatrics and Child Health at the University of Manitoba, says they are continuing to study the process, and: "Ultimately, we hope to develop new ways of preventing or treating allergies, possibly by modifying the gut microbiota." 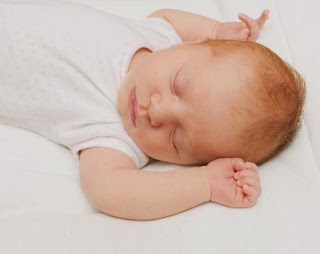 (CHILD) Study, which is following more than 3,500 families and their newborn infants across Canada. infants at 3 months and 1 year, whereas lower microbiota richness was evident only at 3 months." They plan to expand their sample size as data comes in from more participants in the CHILD study, and to keep following the children so they can do further analysis at ages 3 and 5 years. Prof. Kozyrskyj explains: Funds for the study came from the Canadian Institutes of Health Research and AllerGen NCE Inc, a national research network funded by Industry Canada. trial investigators said the finding was an important clinical development that suggests new guidelines may be needed to reduce the rate of peanut allergy in children.